The Rev. Clementa C. Pinckney, pastor of Emmanuel AME Church in Charleston, S.C., was one of nine people shot during Bible study last night. President Obama expressed feelings of anger and sadness about last night’s mass shooting at Emmanuel AME Church in Charleston, S.C., during a brief statement today. The president made it clear that he has made statements like this too many times. This incident also struck close to him, because he and First Lady Michelle Obama knew the pastor of the church personally. The Rev. 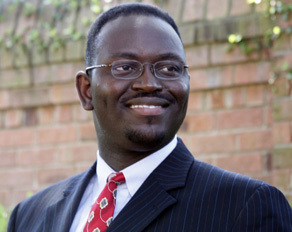 Clementa C. Pinckney, also a state senator, was among three men and six women gunned down last night. The suspect, Dylann Roof, was arrested in North Carolina around 11 a.m. Known as Mother Emmanuel, this church was a place of peace and has deep historical roots, not only in Charleston but also America as the oldest AME church in the South. Obama pointed out that the church had been burned down in the past, because it was a place in which former slaves had worked feverishly to end slavery. The president also spoke briefly on gun control and said this incident brings up the United States’ dark history, because this is not the first time that an African-American church had been the target of a hate crime.